Brand new boutique-style rooms for a sophisticated city stay. Our spaces are much more than a place to rest your head. We, at The Student Hotel, provide playful environments that strive to energize and inspire, excite and unite. 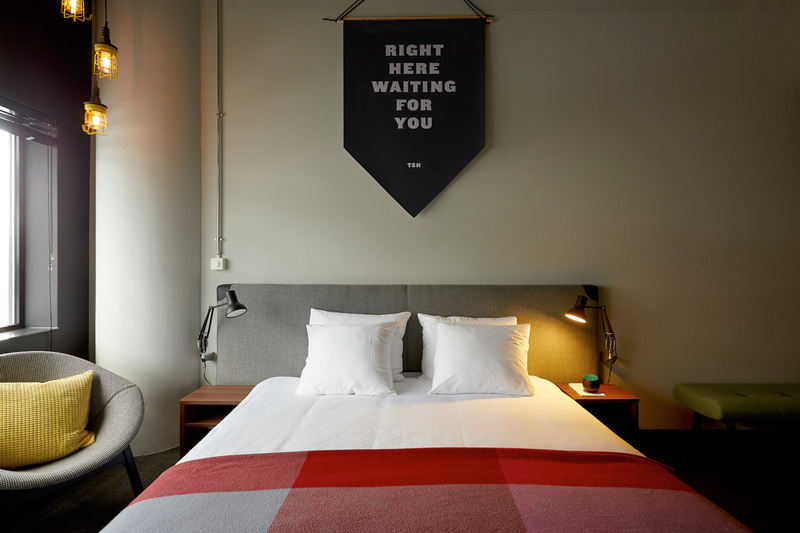 From the grand piano in The Hague to the Can’t, Never Could mural in Rotterdam, our colorful hotel interiors serve to connect and awaken everyone’s inner student spirit. Our latest venture at our Amsterdam City location, the Trouw building, was built with this appreciation of vitalizing design at it’s core. Our new rooms offer a trendy haven from the bustling city outside, with bespoke interiors and beautiful views. Perfect for kicking back and re-energizing after a day of exploring, working or studying. The building that was once a location for newspaper production, and later a renowned club, is now our vibrant hub for (international) students, travellers, expats and young entrepreneurs to connect, converse and create – and you’re welcome to join.